Using the suction as his ninja weapon! A lot of people ask Nik and I how we get through this, and its difficult to answer. We’re no different to any other parent out there I don’t think. You just get on with things. We’re helped by having family and friends who help us every step of the way. I’m not naturally someone who relies on wishes, prayers and other things that aren’t tangible. For me thats a risk, it’s not tangible or measurable. My gods are numbers. 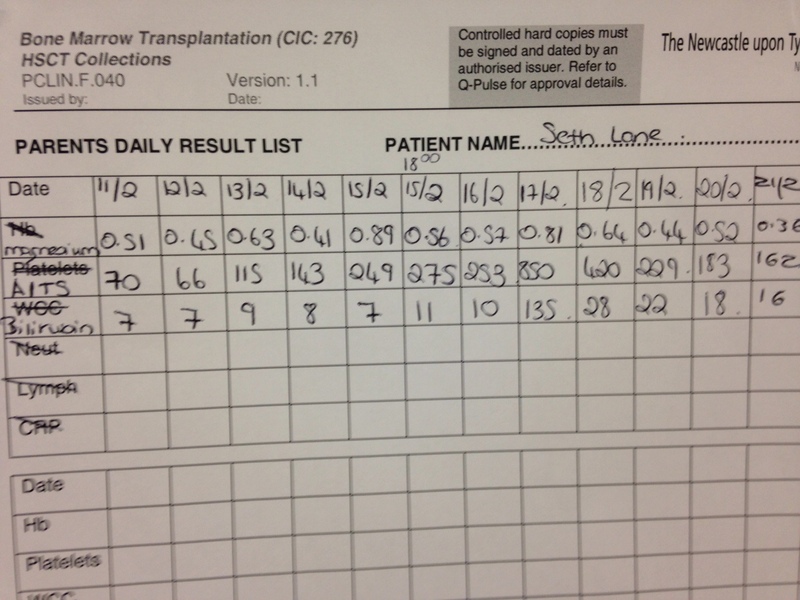 Numbers in the form of Seth’s daily blood results. As a parent in this situation you become knowledgable about the meaning of the blood that is taken from your child at 6am every morning. By 10am you wait for the nurse to come in and fill in the sheet you keep on the wall to look for patterns and changes. The 2 ‘gods’ of this page are the ALTs and Bilirubin. These levels are related to liver function and the issues we’ve been having with Seth’s gallbladder. Were looking for these numbers to come down. As you can see on the 17th Feb when Seth had become quite unwell on the afternoon of 16th Feb his levels have jumped up high. He was also very yellow that day. 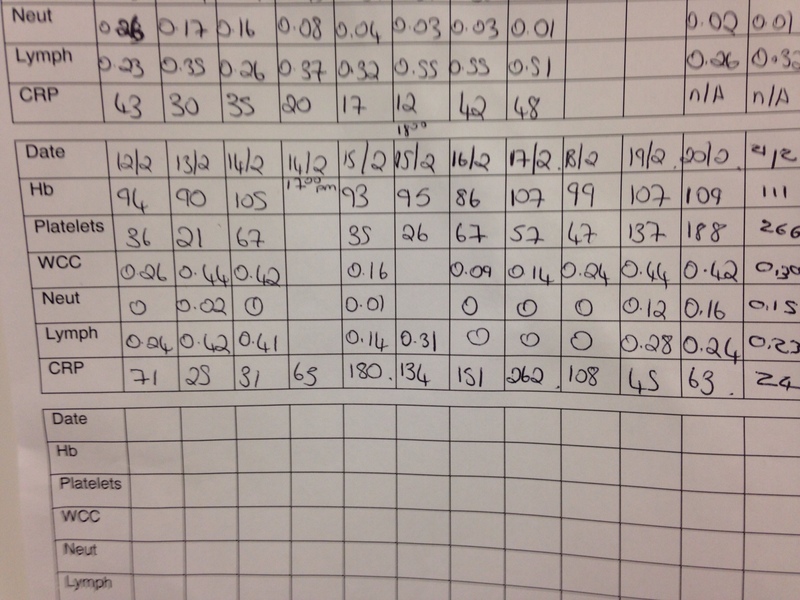 On this sheet you can see that Seth’s Neut (Neutrophils – white blood cells) are below 1. The numbers our looking at here indicate that he has virtually no white blood cells. CRP (C-Reactive Protein) – This is a infection marker in the blood. So when you have an infection this level will rise, although it tends to work 12+ hours behind the patients clinical signs. As you can see on 17th Feb this number also significantly increased. Knowing about this and being a major geek about immunology helps me cope. It gives me control back in a situation that we didn’t plan for. 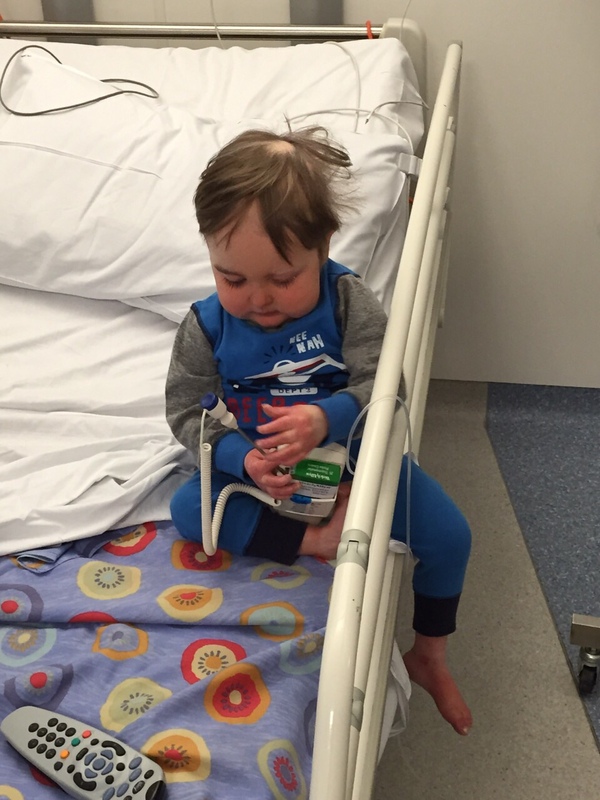 It would be easy for me to feel sorry for myself – why do i get a sick kid?….but this isn’t about me. I’m not sick. I made a choice to be a parent and that means my job is to do what i can to be there for Seth. We have two children, Seth and his baby brother Hugo who is 4 months old. Being at the hospital is hard on Hugo as he ends up spending far too much time in his pram or being held whilst in a hospital waiting room. So this week I have come home to give him a break. It’s obviously nice sleeping in my own bed (when Hugo lets me sleep that is!). Seth continues to be really well and I get videos of him making the most of his time (see below for some examples). 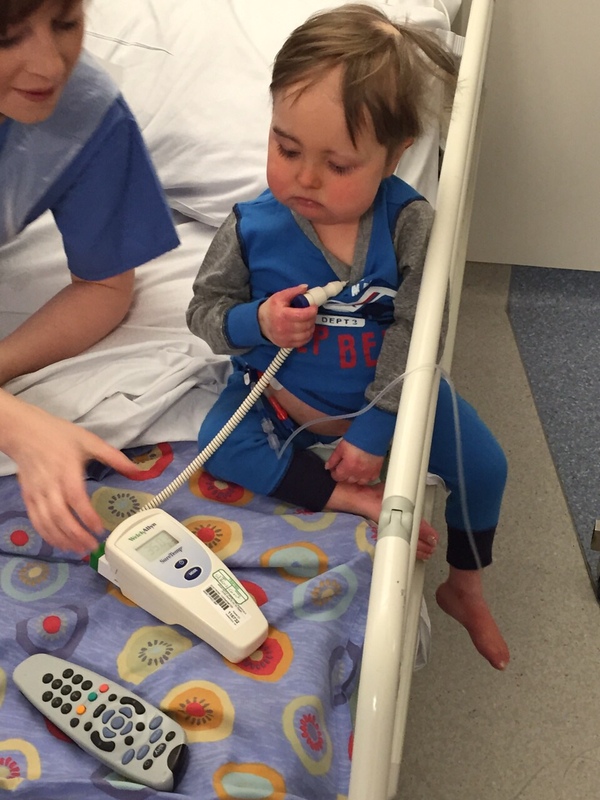 So here we are ploddin along waiting to get to transplant…..or are we. Of course you don’t all know Seth but those that do are aware that he doesn’t like to conform to expectation!!! Why should he be any different in this situation?! The consultants have been having a few confusing, head scratching conversations about our boy recently. 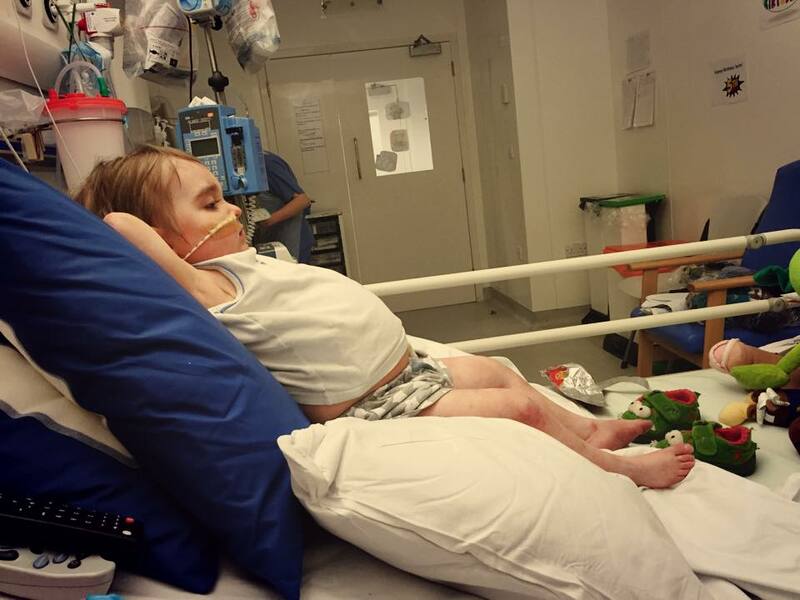 They had previously sent of a sample of Seth’s current (post transplant) bone marrow to GOSH to compare it with his bone marrow prior to his original transplant. 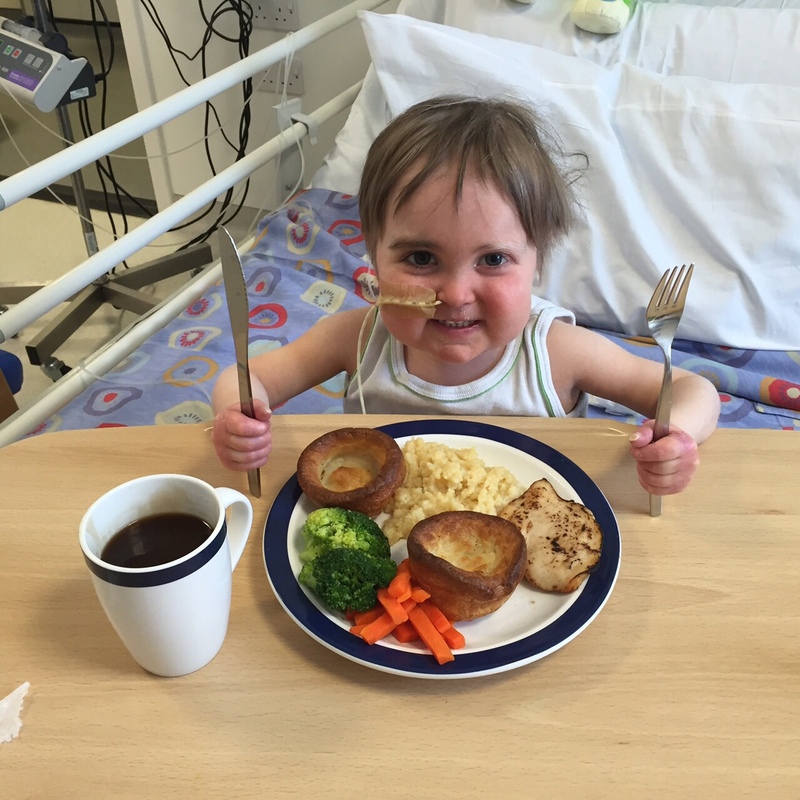 The aim of this was to identify which parts of his current bone marrow is his and which parts are from the donor. A bit of history (i will try and keep it simple and provide links to terms you may not be familiar with): Seth had no T cells prior to transplant but had his own Neutrophils and B Cells (although without T cells his B cells wouldn’t work). Normally the patient has chemotherapy which wipes the entire bone marrow, and then the donor’s immune system comes in and takes its place. So in a normal transplant the new bone marrow would be entirely donor cells. 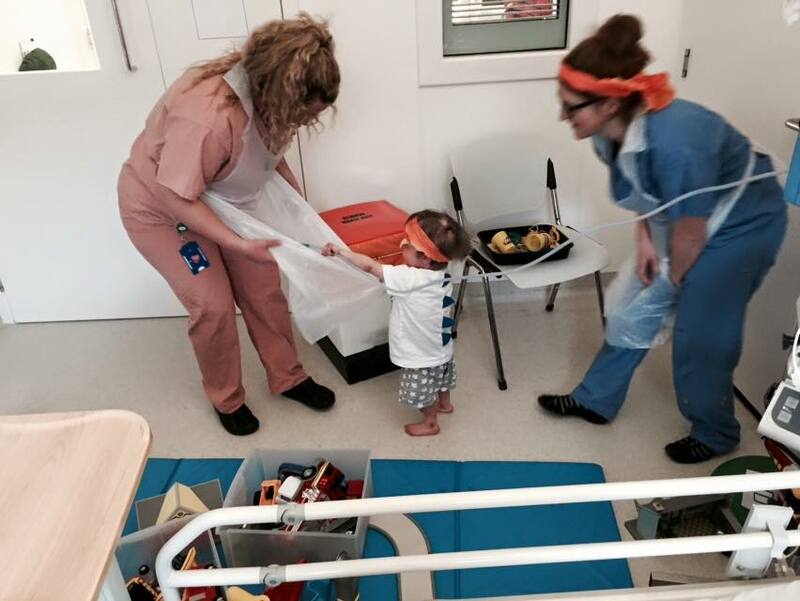 Seth, however, had a transplant without chemotherapy because he was too ill to survive chemo. Because he had no T cells he was in the best position to receive this type of transplant as he had nothing to fight the donor cells. 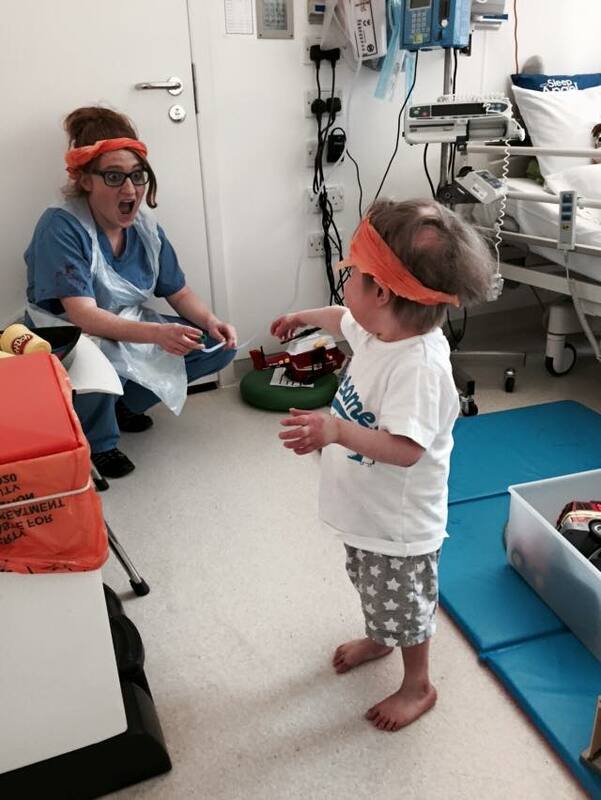 So it was expected that when they look at his bone marrow now he would have donor T cells, but his own Neutrophils. 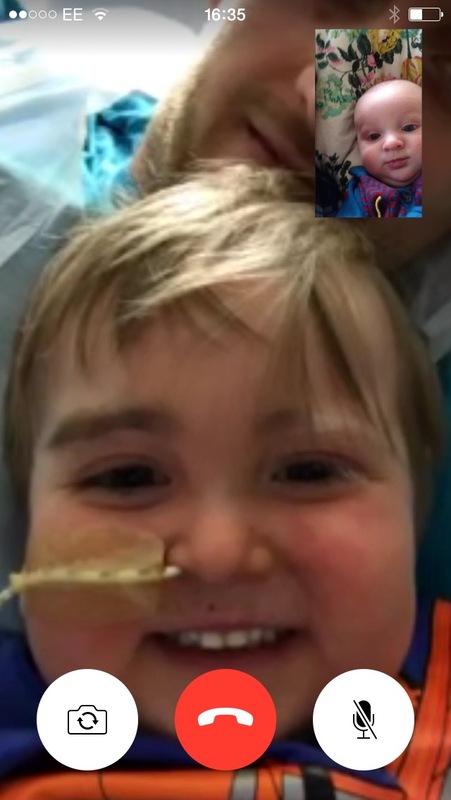 HOWEVER….of course nothing goes as plans…and it appears that Seth’s bone marrow is 96% donor (the split is different but without confusing things its WAAAAAAY higher than expected). 1. The donor T cells are still rogue and have gone to the bone marrow and been attacking that. This would explain his recent inability to maintain, neutrophils, platelets or red blood cells. 2. The previous stem cell transplant has started to take over his bone marrow and make it it’s own (basically sorting itself out and begin in to behave). They will give a drug called ATG everYday for 5 days starting Monday 9th March. This drug wipes out all the T cells. Then we wait. There is a possibility that Seth’s own neutrophils will come back, but they may not. 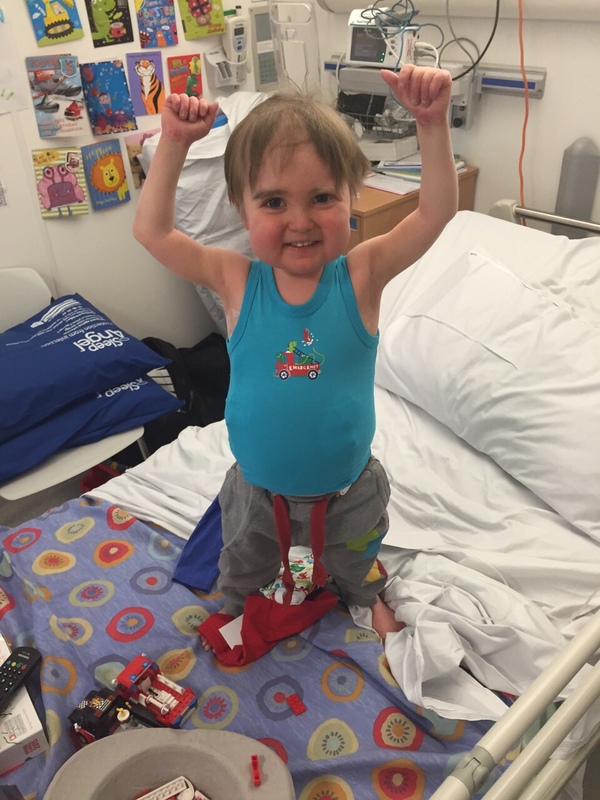 He may be left with an empty bone marrow if the T cells have been able to cause enough damage. So them coming back and giving him a little bit of protection is best case. Or the bone marrow may come back as donor cells…this will cause more head scratching and frowning from the consultants!! Let’s be honest Seth really likes to confuse things so let’s not rule it out even if it’s thought to be unlikely!! Whilst his bone marrow is doing all this, or not. They will continue to prepare for transplant. In 3 weeks it’s a CT under general anaesthetic with a bone marrow sample being taken at the same time. The CT scan is to check the infection in his chest to make sure they are controlling it. Then a week or so later he will have his gallbladder removed- the anaesthetist will need the CT results to ensure that Seth is at as little risk as possible during the op. 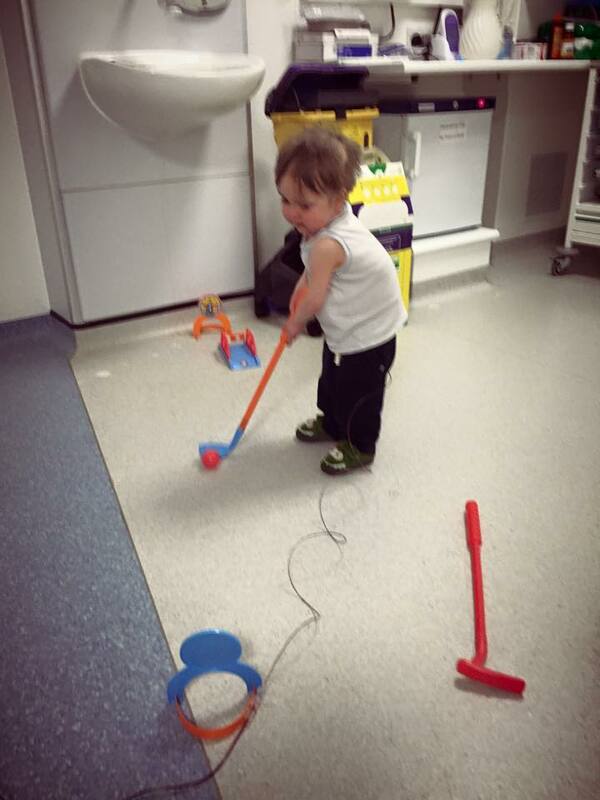 Then all being well we go to transplant 4-6 weeks later. But hopefully more like 4 weeks. Transplant is incredibly risky. But if we want Seth to have any chance this is what we have to do. Keep an eye out in the next few days for a #wearyellowforseth announcement. Hang in there little man.!!!! You have tons of people you don’t even know praying for you!! ..i will being wearing yellow for you. He is absolutely precious! Keeping him in my thoughts and prayers. By the way, Seth – my favorite color is yellow, too. 🙂 sending endless love from Mississippi! Ps yellow is my favorite color I’ll be wearing it for you seth👊!!! I’ll wear yellow for you..
Seth, we all love you buddy! Keep those smiles coming, and you better believe I will be wearing YELLOW on March 27th! Expect photos from me and my own 16 month old baby boy who will also be rocking yellow! Take care little man! Wow, he is such a precious little boy! I cannot stop watching the awareness video u guys made, he has the most radiant smile! I am praying for a miracle!! God bless u guys! Feel better tough guy. I’m praying for you handsome and your mommy n daddy and baby brother. You are a champion and because GOD IS THE GREATEST POWER YOU WILL NOT BE DEFEATED. Hold on for this too shall pass. So much going on in a little guys world! But, this ol’ grandma thinks he’s a great big tiger and handling it just fine , with the love ❤ and help of a wonderful mom, and a great team of medical experts. Keep plugin away li’l tiger 🐯, my love ❤ and prayers are with you. I just wanted to let you know that my heart was touched by your little guy and I felt lead to pray for him and your family, also that I AM WEARING YELLOW FOR SETH today!!!! I pray that the next few days/months be of peace and more exciting and better news after the procedure and that daddy’s marrow be the cause of his healing. All in God’s timing and will but with our heartfelt prayers . May God give you the strength to endure this hard times and may He be the pillar for you all to hold on to. Sincerely , Leila Wade.